Being a business owner comes with many different challenges, but it is well worth it to be your own boss. As a business owner, you are responsible for the hiring and firing of employees. In order to be a success, you will have to find a way to get the best employees hired. With all of the options out there, finding the right people will take a lot of work and research on your part. Below are some tips to use when trying to find the right office space employees. One of the first things you need to do when trying to find the right employees is to make a detailed description of the job you are hiring for. The more you are able to tell prospective employees about what is expected of them, the easier it will be for you to make the right here. If a prospective employee is not able to meet the guidelines you have set, then you will be able to move on to the next candidate. The time you put into this process will be more than worth it in the end. Another very important thing you have to do when trying to find the right employees is thorough research. You need to research the background of prospective employees to ensure they are who they say they are. Make sure they have good references and work history. The more you are able to find out about a person and their past, the easier you will find it to make the right decision on who to hire. The last thing you want to do is hire a person without getting all of the vital information due to the negative consequences that can arise. If you are looking for a great office space to set up shop in, be sure to call on the team at Access Office Business Center. 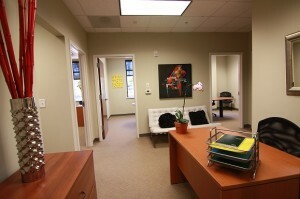 Looking for meeting rooms in El Dorado Hills, CA?